In today’s overwrought media world it is easy to get distracted from the real issues facing us as individuals, a society and the world. A visit to one of the cable news networks provides a myopic and imbalanced view of the world. The same is true when it comes to money. We seek out incremental gains on our portfolio without pausing to think about our goals and the meaning behind them. 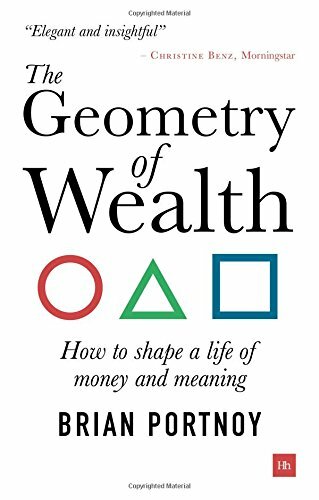 That is why The Geometry of Wealth: How to Shape a Life of Money and Meaning by Brian Portnoy is such an important read. 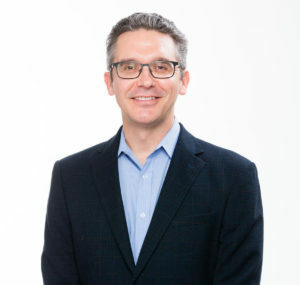 Brian is the Director of Investment Education at Virtus Investment Partners. He previously authored The Investors Paradox: The Power of Simplicity in a World of Overwhelming Choice. In this new book Brian takes a step back from the nuts and bolts of investing to give us a roadmap on how to think about money and its ultimate role in making our lives richer and deeper. I had to the pleasure to ask Brian a handful of questions about his new book. Below you can find my questions in bold. Brian’s (unedited) answers follow. Enjoy! AR: It’s been four years since your previous book The Investor’s Paradox came out. Why another book? What have you learned in the past few years that compelled you to write another book? BP: The learning process never stops and it was time to sort through a mess of issues I’d been thinking about for years, including some from the first book where I felt I hadn’t provided a satisfactory perspective. Most importantly, this book is a prequel to the first arguing that focusing on making better investment decisions is actually the end of process in achieving financial success. The grist for this mill was provided when I joined Virtus Investment Partners, an asset manager with strong client relationships in the wealth management industry. As I grew to understand the real underlying problems facing the clients of Morgan Stanley, Raymond James, and other big firms – who are representative of all folks working toward a better life and a safe retirement – I began to see that the important questions ran much deeper than I had considered. Ultimately, the “big” money question asked by all is “Am I going to be okay?” That’s a multi-faceted and emotionally charged question that I wanted to make sense of, both personally and professionally. Hence The Geometry of Wealth. AR: I was gratified to see how you connected Aristotle and the Founding Fathers through the revolutionary idea of the ‘pursuit of happiness.’ You emphasize how happiness isn’t some end-state, but a process. In your experience do you find people act and plan otherwise? BP: I do. Nearly all of us, most of the time, default to thinking of happiness as a mood. Your affect comes and goes; you are “happy” or “sad”; your mood swings between great and lousy. And this is completely normal. Because most of our neural activity is subconscious, most of our daily affect isn’t a matter of choice; it just is. When we then step into reasoned thinking, we can engage in setting future goals (e.g., house, college, retirement). The thing is, achieving our goals isn’t at all the same thing as achieving happiness – though most assume that they are. In fact, the good vibes we feel from achieving most common goals tend to be ephemeral. Yes, the new home is a justified source of pride, but our minds tend to pretty quickly focus on whatever’s next. This disconnect between achieving goals and being happy is frustrating, but the good news is that there is a deeper level of contentment in which we deliberately consider whether we are living a good, dignified life. Getting in touch with that flow is hard but worthwhile work. And it’s here that we can think of happiness as a skill. Doing so creates enormous opportunities for personal growth. AR: We humans love to carry stuff around in our heads. You mention the importance of being able to put pen to paper and create a personal balance sheet for ourselves, but we never do. Is simply going through this process with a trusted, third-party a great argument for having a financial advisor? BP: It is. Doing so certainly doesn’t sound revolutionary, but it is really quite amazing what putting together an accurate snapshot of one’s entire financial picture can do for you both practically and emotionally. Sports teams or business teams would never try to compete without a process or playbook for success, but with our family finances it’s the norm. Another way to think about it is that success without a process is basically relying on luck. Hope is not a plan. So with money life it makes a lot of sense to work with some kind of advisor who can help you get organized, formulate a plan, and then stick with it through thick and thin. In life, it’s what you don’t know that will get you, so a money coach can highlight what the issues are, the decisions you need to make not just now but in the decades to come, what risks are prevalent at different stages of life, and so forth. 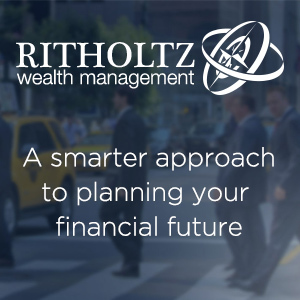 The good news is that the wealth management industry is evolving toward this more holistic take on financial planning and less on the buying and selling of securities. AR: Satisficing is an underutilized concept not only in investing but decision making in general. You note that “good enough” portfolio allocations that you don’t have to think too much about are a great starting point. How do we give investors the permission to not worry about achieving the “optimal” outcome? BP: This is where ongoing coaching and education are a must. Teaching people that the right way to find success in their money lives involves lessons that must be repeated and explained in different ways across different circumstances. The fundamental topics – risk management, diversification, the impact of human behavior, the true meaning of value, establishing reasonable market expectations – are ones that might sound straightforward, but they’re not. And that’s less because of their technical elements and more because of their emotional triggers. Even those who might be considered an expert know this entails a lifetime effort at calibrating our aspirations, emotions, and plans. In fact, true experts are often the first to admit ignorance and embrace the need for constant learning. AR: “Striving for decent outcomes” is a worthy goal, that many advisors are reluctant to embrace. Is this a function of not being able to justify fees or something else altogether? BP: Yes, this reluctance is a real-world problem and speaks to some of the evergreen pathologies in the advisor-client relationship. I’ll highlight two of the bigger issues at work here. One is the unavoidable salience of comparative performance. Advisors can explain until they’re blue in the face that clients should be focused on achieving their own personal goals and ignore “beating the market” and/or “keeping up with the Joneses.” A “decent outcome” – one that involves earning what you need but not pushing beyond that – fits uncomfortably with those external (and irrelevant) bogeys. A wise advisor will only take as much risk is necessary to achieve her client’s goals, but that could mean a “worse” result than your brother or coworker, leading to a real sense of disappointment. Second, most people have an action bias, meaning they feel the need to do something when attempting to solve a problem. The rub is that with investing, often the right strategy is do nothing. True patience – which I define as doing nothing deliberately – is the cornerstone of long-term market success. But the institutional and behavioral incentives to ignore a healthy buy-and-hold strategy are many. Even when clients reach their goals, they can remain uncomfortable with sitting tight and they still want to push for more. This is a sure way to undermine even the best-made plans. AR: “Enough is hard.” I have seen more written of late in trying to get investors who have “enough” to be willing to part with it whether it be on themselves, family or charity. How can we ever get comfortable with this concept? BP: It will never be easy. I’ve come to believe that we are each confronted with a tension between “more” and “enough” that’s largely irreconcilable. The desire for more can be healthy insofar as it taps into our evolutionary urge to grow. At the very deepest level, this is part of our survival instinct. However, there is also great psychic benefit from cherishing enough, to finding stillness and mindfulness, especially in our very noisy age. Moving forward and remaining still don’t go well together at any one moment, but I think we can stoke both impulses by finding a rhythm between them. In part, we can avoid thinking of enough as merely settling and framing it as a step stone to achieving truer, longer-lasting joy. AR: The Geometry of Wealth is suffused with Stoic philosophy. While the Stoics have had a bit of a revival of late, their philosophy is not exactly mainstream. Where does Stoicism fit in our money lives? BP: In brief, a core message of the Stoics is that we should focus only on what we can control. We have no choice over what the external world brings, but we have enormous power over how we choose to understand and respond. The market is outside of our control, but we can choose to own our reaction to its ups and downs, mostly through having a game plan or process in place ahead of time, versus responding in the moment when many of our worst biases are most pronounced. Ultimately, in winning the money game, our enemy is not the market. The enemy is ourselves. Brian’s book landed on Josh Brown’s summer reading list. They also sat down to talk about some of the lesson from the book. You can learn more about Brian and his books at shapingwealth.com. You can also follow him on Twitter @brianportnoy.